Extracts from the seeds of grapefruit are rich in antioxidant flavonoids (naringin and hesperidin) and liminoids (limonene and nomilin). These antioxidants may help protect the skin from environmental factors and support normal, healthy skin integrity. Wildcrafted lichen extracts contain usnic acid, which has been reported to act as a natural preservative for cosmetic products as well as to help soothe the skin. 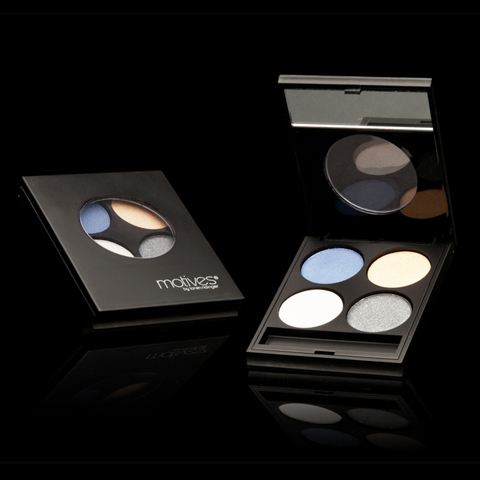 What Makes Motives® Destination Beauty Compact - Spring/ Summer 2012 Unique? Make a statement with four of the hottest shades this season, and take them wherever you go with Motives Destination Beauty Compact. Contour like a pro this summer with the ability to create a subtle or dramatic eye to fit any mood, occasion and to complement any look. These intense pigments are silky in texture and blend quickly, offering a customized look that lasts! Motives Destination Beauty Compact gives you the season’s four hottest shades with multiple combinations to create a subdued smokey eye, a natural goddess or tropical chic look. Be a trendsetter this season with Motives Destination Beauty Compact! Is Motives® Destination Beauty Compact convenient for travel? Yes, the compact is great for travel and allows you to create multiple looks on the go. What does the ingredient Grapefruit Seed Extract do? These antioxidants may help protect the skin from environmental factors and support normal, healthy skin integrity. Healthy skin integrity is important in promoting a more youthful-looking appearance. I have sensitive skin. Can I use Motives Destination Beauty Compact? Yes, this product is ideal for any skin type and contains wildcrafted lichen extract, which is known to help soothe the skin.